Today's Memory Tape is a gift from an auntie to a nephew. A 7th birthday present and a music education. I’m a Geordie in exile in Glasgow and I created this memory tape for my step-nephew Adam’s birthday at the end of September. He’s just started liking music in the last wee while, and when I was down in Northumberland over Easter he was telling me not to answer my phone because he liked my ringtones (Prince and The Clash) and was giving his air guitar some serious effort! This was interesting because he was looking at me as if I was an alien because I don’t have any Justin Bieber or Little Mix on my computer! So I decided as a step-Auntie it was my responsibility to both encourage his new interest and try and show him there was more music than Justin Bieber et al. So I made him his own CD with pictures of him on the front and back cover as a birthday present. I called it his 7th Birthday CD so he would always have it to keep and (hopefully) listen to as he gets older. Adam is a bit of a live wire and doesn’t sit down for long so it needed to be stuff he could dance to and play his air guitar. He mainly listens to music on his tablet so Future Islands ‘Seasons (Waiting on You)’ just had to be on there for the dance. I sent it to him through the post and when he got home he put it straight on and to quote his mam, he was “jumping around like a loony”. He got one of his friends around to join in too. 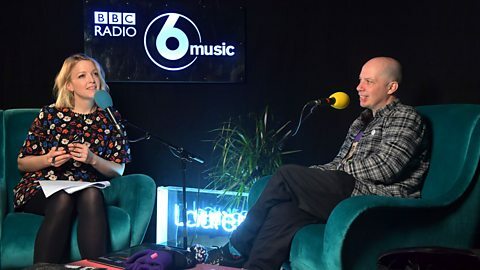 All week Lauren Laverne has been chatting to the stars of 6 Music Live about the music that shaped them and asking them what tracks would appear on their Memory Tape. Watch the videos below and discover the tracklistings on each act's tape. The former Led Zeppelin star chats to Lauren Laverne about his Memory Tapes. 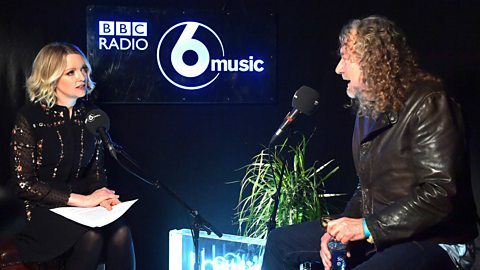 We conclude our week of 6 Music Live Memory Tapes with rock and roll royalty, Mr Robert Plant. His selection of songs reflect his musical development from a young age, as well as the fact he remains a huge music fan. Loyle and his mum Jean chat to Lauren Laverne about their Memory Tapes. 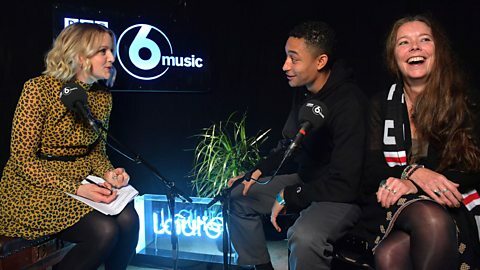 Thursday’s Memory Tapes is all about family, as we welcome Loyle Carner and his mum Jean to the studio at Maida Vale. 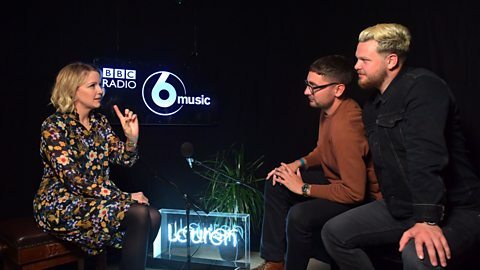 Gus and Joe from alt-J share a band Memory Tape, ahead of their live performance at Maida Vale on Tuesday. “We were all into different kinds of music growing up - metal, folk, hip hop, indie - but when we met at Leeds it was unusual, cerebral bands like Radiohead and Metronomy that we bonded over. When the latter were nominated for the Mercury Prize in 2011 we all went to the betting shop to watch Joe lay a fiver on them to win, then went to our friend's mum's house in Cambridge to watch the ceremony as we didn't have a TV. Both these songs are in interesting time signatures which really adds to their complexity and allure. The final three songs are individual choices of music we were into growing up that made us want to start bands." Tuesday's Memory Taper is Stuart Braithwaite of Mogwai. The band have just released their ninth album Every Country’s Sun and perform live at Maida Vale ahead of a European and North American tour. First plays, latest new music online, emerging talent & new tunes from returning favourites. The Desert Island Disco is your opportunity to create the perfect dance floor soundtrack. Send us 10-15 of your best party tracks, and check out what previous listeners have selected.